Three bedroom glass widows, one in the middle, create a perfect corner in which to squeeze a simple bench. 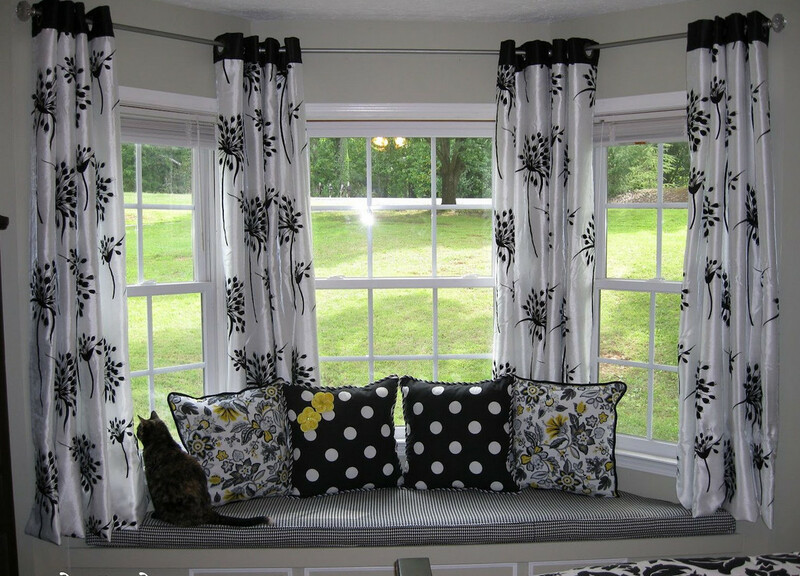 Four satin-like white curtains with black flowers are just fit for the corner space. Professionally cut to match the bench height, the curtains are accentuated with four tiny throw pillows. Even your black cat loves it!